After nearly a year of work Frozen Volcano is getting the final polish before hitting th shelfs of the Apple iBook Store. 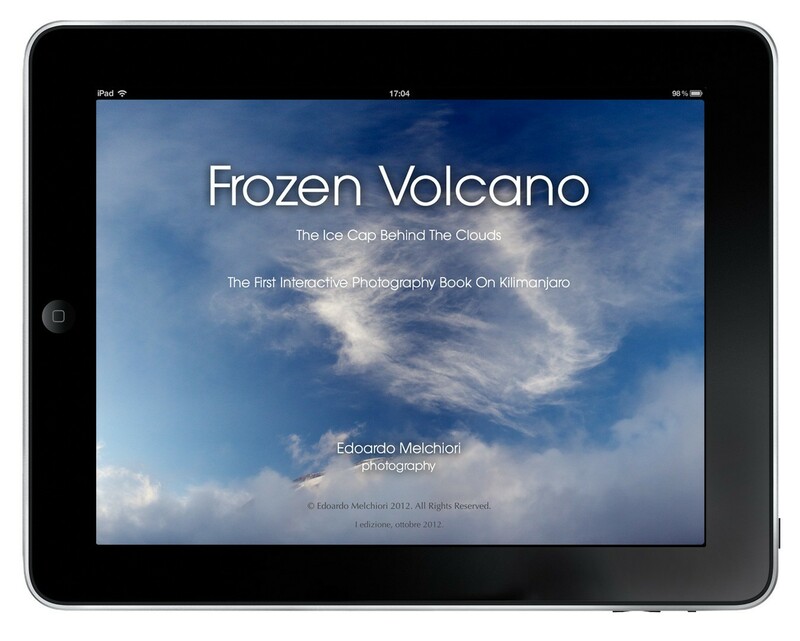 Frozen Volcano is the first iPad interactive photographic iBook on Kilimanjaro. Over 130 pages of rich interactive material with stunning photos of the tallest freestanding mountain along with a breath taking story and trekking tips! Italian version of the iBook is planned to be released next october and English version will follow by the end of the year so stay tuned!